Will it, won't it come to the UK? The HTC Deluxe has been outed on Twitter, suggesting the HTC J Butterfly could be going global. This has all come about thanks to EvLeaks, which tweeted a picture of the device along with the message "HTC Deluxe, global edition". Back in October we saw HTC unveil the J Butterfly, boasting an eye-popping full HD 5-inch display, 1.5GHz quad-core processor, 2GB of RAM, 8MP rear camera, 2.1MP front camera, 4G connectivity and Android 4.1 Jelly Bean. The super-sized handset has already made an appearance in the US, coming under the moniker HTC Droid DNA, as it looks to tackle the big phone of the moment, the Samsung Galaxy Note 2. We could well see the HTC Deluxe break cover at MWC 2013 in Barcelona and TechRadar will be there to bring you all the news live as it happens. There is a slight twist in this tale though, as we contacted HTC last month and a spokesperson said the firm had "no plans to bring the J Butterfly to Europe", so we're not getting carried away about the HTC Deluxe just yet. 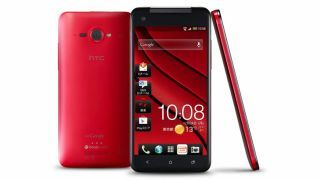 We contacted HTC again regarding the Deluxe, but the Taiwanese firm would not be drawn to comment on the rumour.